I must say that the decor is flawless and the customer service was spectacular. Everyone was really friendly and charismatic. I am extremely inquisitive so I asked a LOT of questions. One of the owners, Raven, took the time out to explain just about everything to me. I learned a lot about my nails, how to treat them, the difference between my nail bed, cuticle and hyponychium. I admire the fact that they specialize in nail care. When I go to my local Asian spots they don't really take the time out to explain to me what's happening and often times they come off frustrated from my questions. 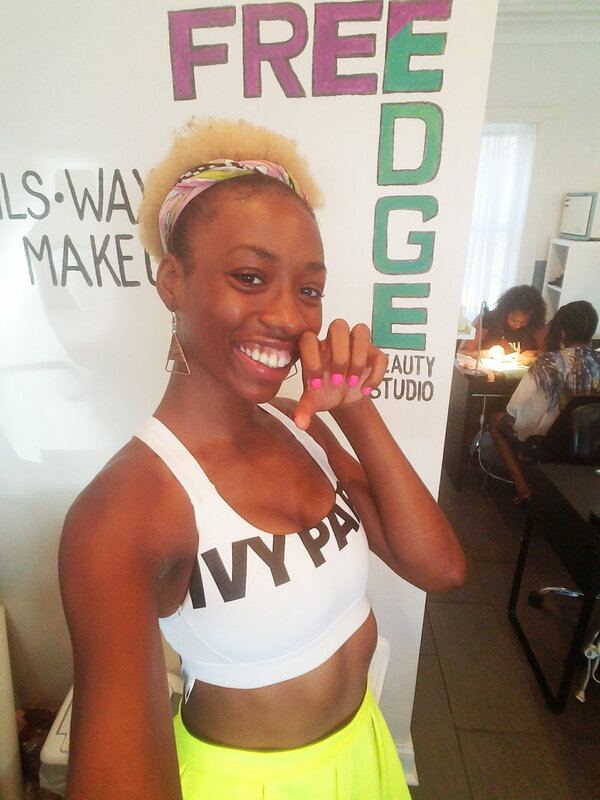 Nonetheless, the energy at Free Edge Beauty Studio was beyond welcoming but inspiring. Raven is a CoFounder and a nail technician along with Niya who started off as a client and is now the CoFounder. Free Edge Beauty opened up about 4 months ago! Raven started off renting out a small space on her own. She was working alone for a while (about a year or so), saving money and looking for the perfect location to open up a studio. Raven joined forces with Niya and they decided to go out on a limb to open up their own shop. They were not able to recieve funding from anyone or loans. Through self discipline and perseverance they were able save and look for a venue. Me: How is business NOW? Raven: We can definitely use more foot traffic but the neighborhood is beginning to recognize that we are here. 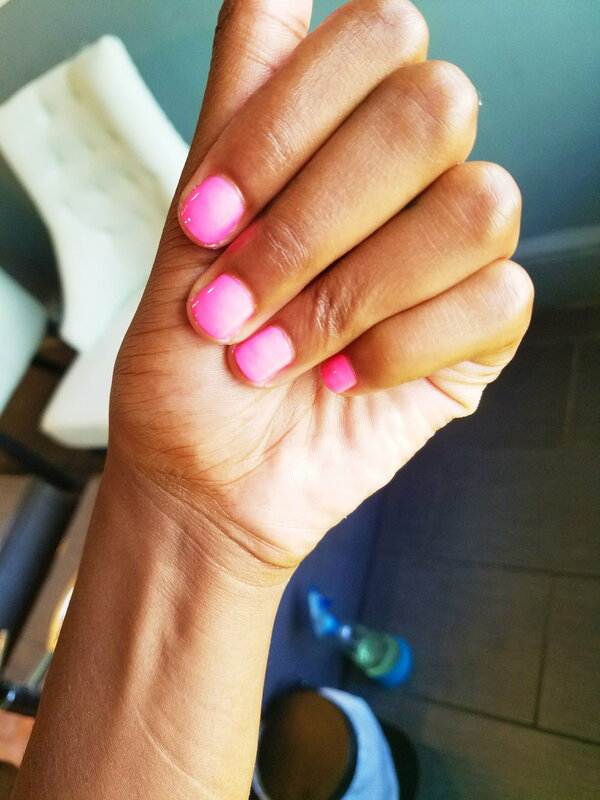 We are huge advocates for educating our clients on nail care. Raven + Niya's primary goal is to give back to the community that they came from. This is the story of humble beginnings. These ladies set the tone for young Black women in our communities. This goes to show Black young girls (and boys) that anything is possible no matter where you come from. They have been partnering up with other local schools, salons, and local businesses. They are also starting an apprenticeship for young girls to learn all about customer service, training them in beauty services, and giving back to the community. This is great people doing great things. Below are pictures of my beautiful mani-pedi and the decor of this fabulous salon! Comment or questions? I'd love to hear from you!